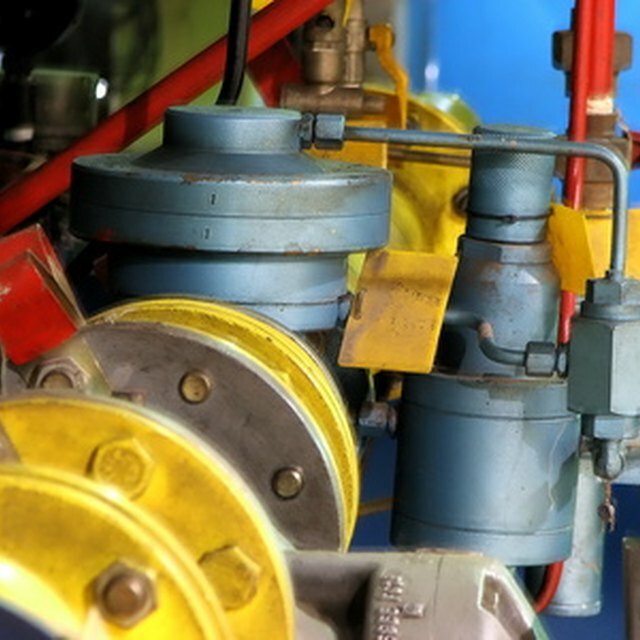 Sizing industrial gas lines correctly is critical for process operations as well as safety. If a gas line is not sized properly, fluid transfer could present a bottleneck in the process. General rule-of-thumb recommended velocity of fluid in a gas pipeline is 90-100 feet per second. 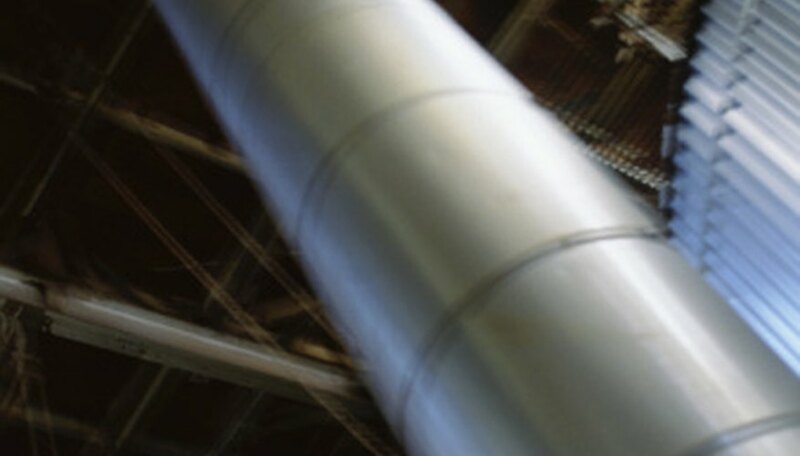 This rate of flow is used to calculate the required pipe diameter and is used to determine and confirm the process volumetric flow requirements. Determine the required volumetric flow rate based on process design conditions. Process engineers usually provide this information, but for demonstration purposes, assume there is a required gas flow rate of 100,000 cubic feet per hour at 200 psi (pounds per square inch). Determine the pipe diameter based on a recommended gas velocity of 95 feet per second. The velocity must be converted to feet per hour by multiplying the recommended velocity value by 3,600 (3,600 seconds equals one hour). This computes to 95 x 3,600 or 342,000 feet per hour. Divide the required volumetric flow rate (100,000 cubic feet per hour) by the velocity to determine the cross sectional area of the required corresponding pipe diameter. This is 100,000 divided by 342,000 which is 0.29 square feet. Determine the required internal pipe diameter from the cross sectional area. The calculation uses the formula of A = (d2)∏ / 4 where “A” is the cross sectional area, “d” is the internal diameter in feet and ∏ is Pi which is 3.1416. Since “A” is known, the formula becomes √(A x 4 / ∏) = d. Insert the numbers into the formula and calculate a diameter of 0.60 feet which can be rounded up to an internal diameter of 8 inches. Brian Baer has been writing since 1982. His work has appeared on Web sites such as eHow, where he specializes in technology, management and business topics. Baer has a Bachelor of Science in chemical engineering from the University of Arkansas and a Master of Business Administration from the University of Alabama, Huntsville. Baer, Brian. "How to Size Gas Lines." Sciencing, https://sciencing.com/how-8523182-size-gas-lines.html. 09 January 2018.